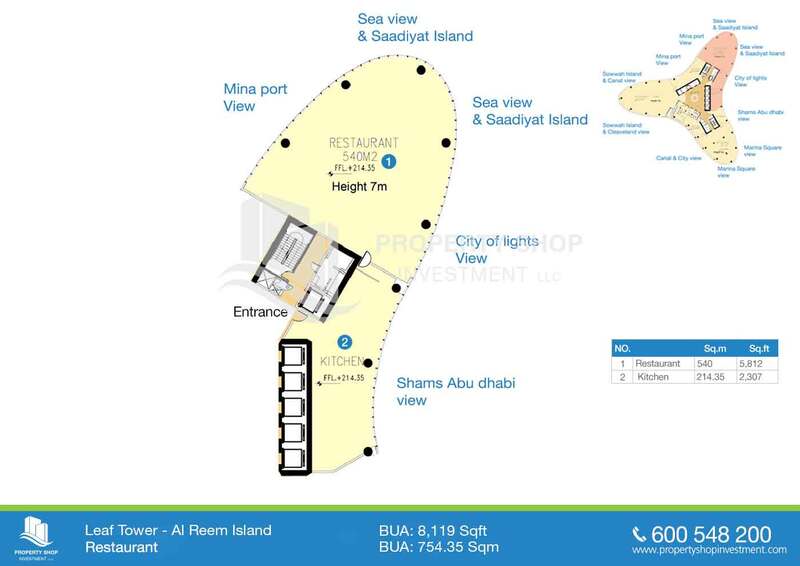 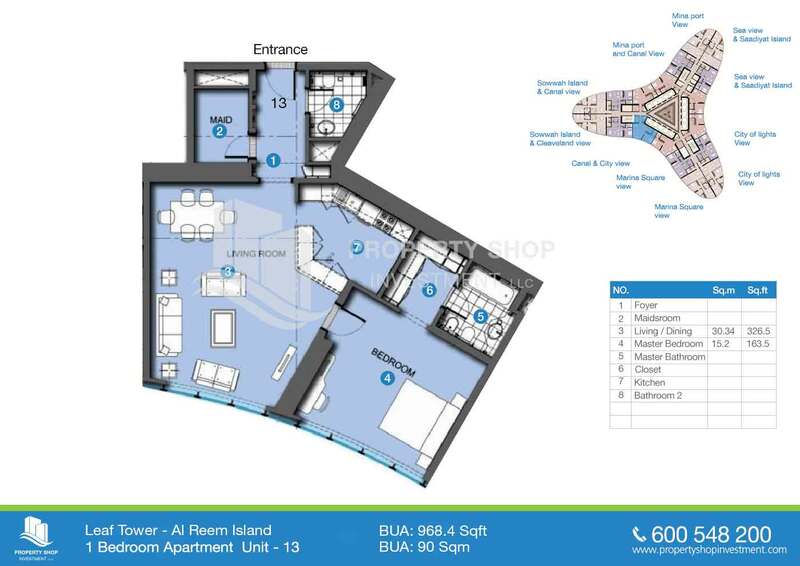 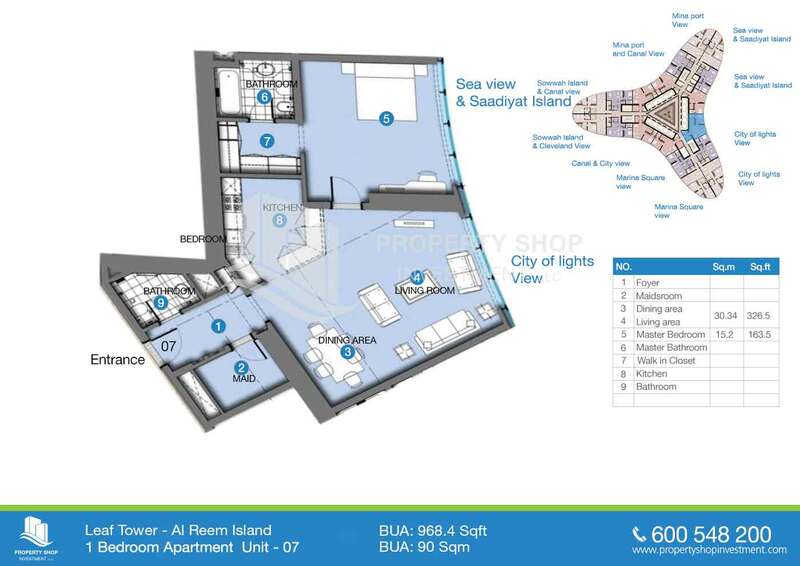 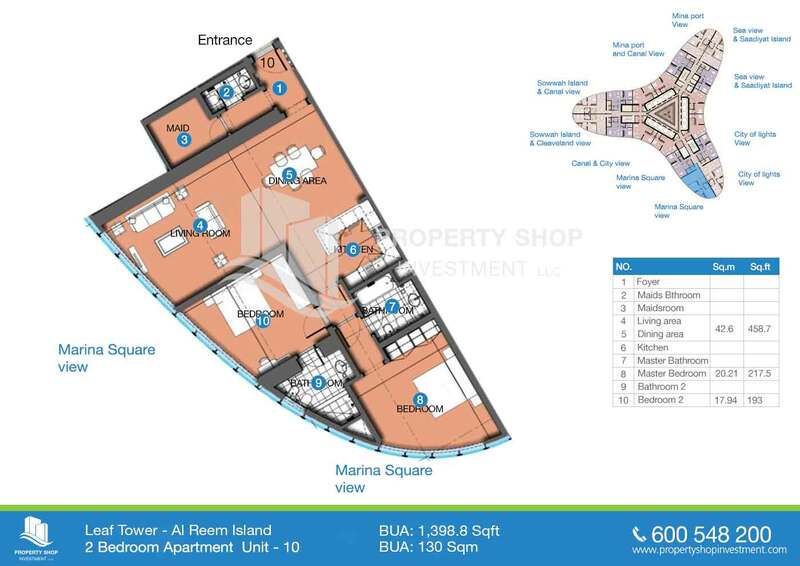 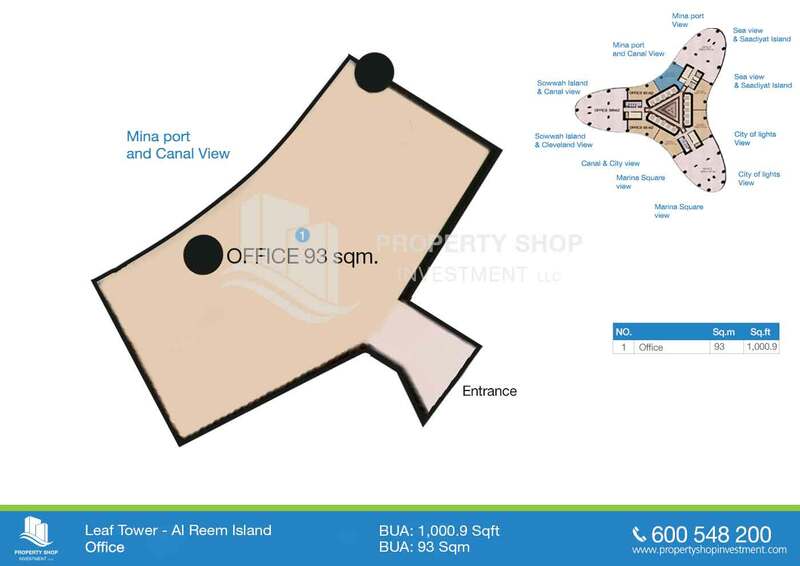 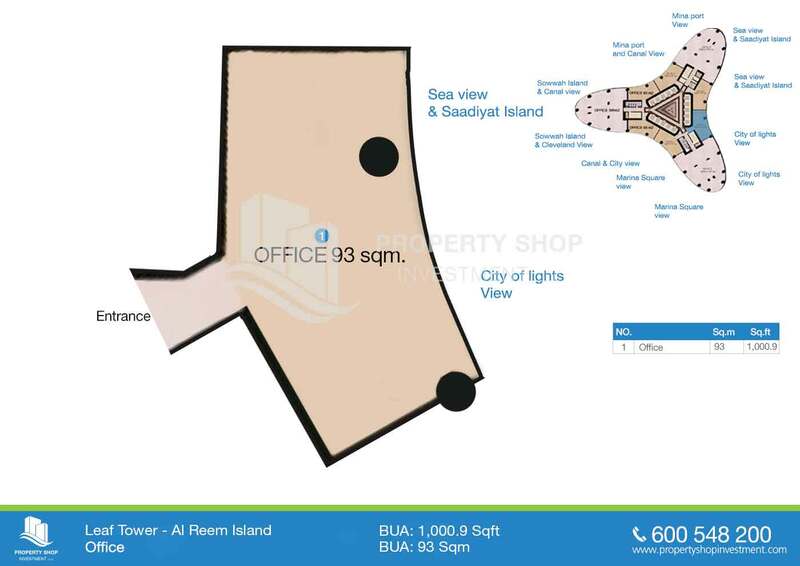 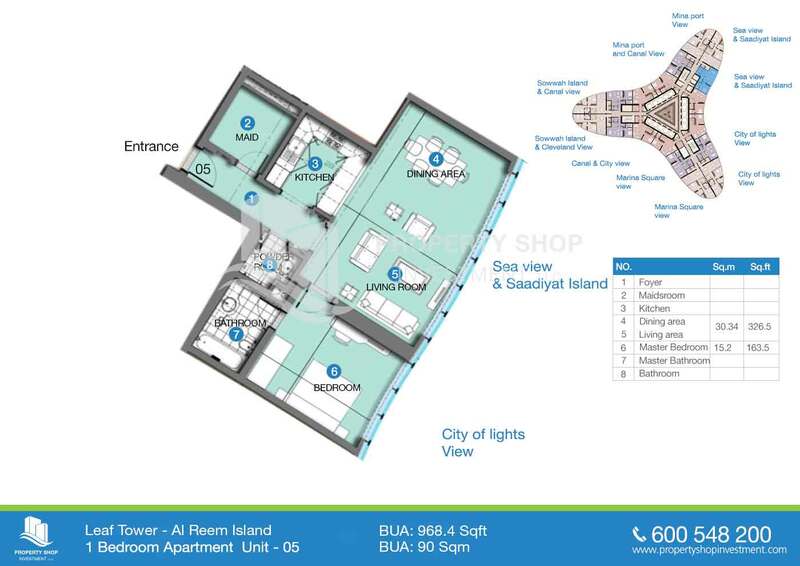 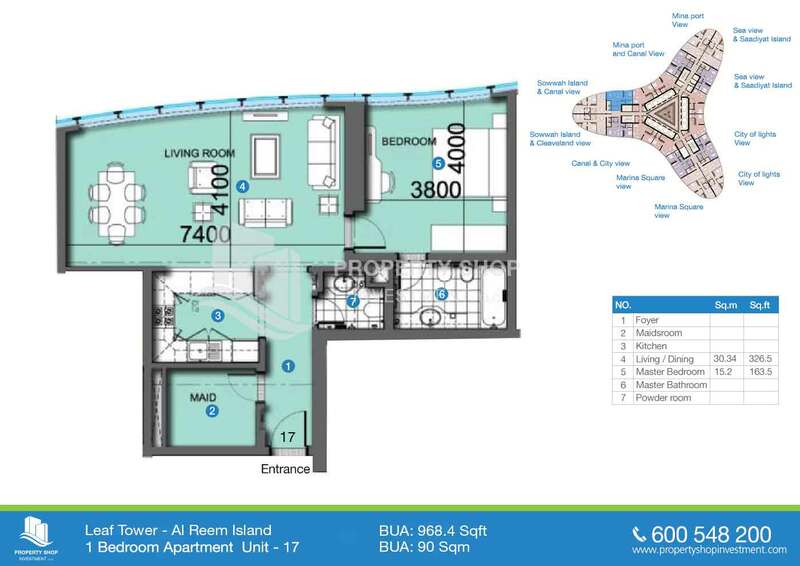 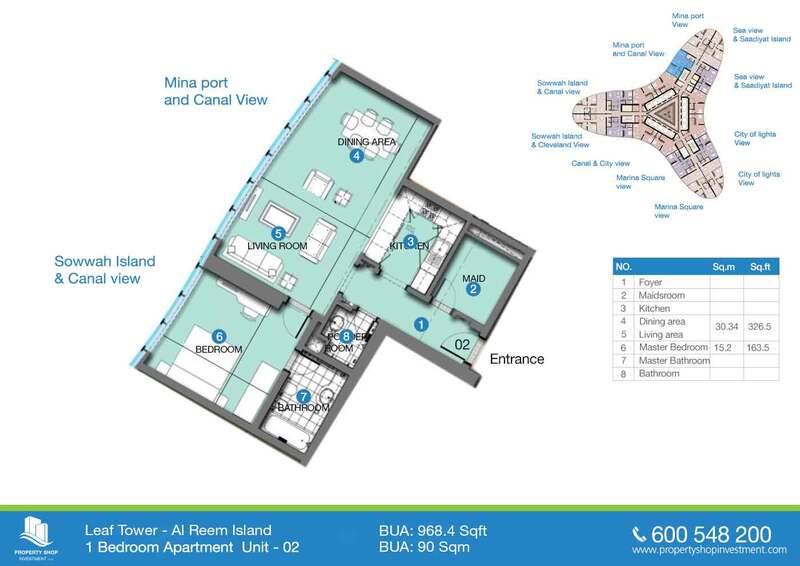 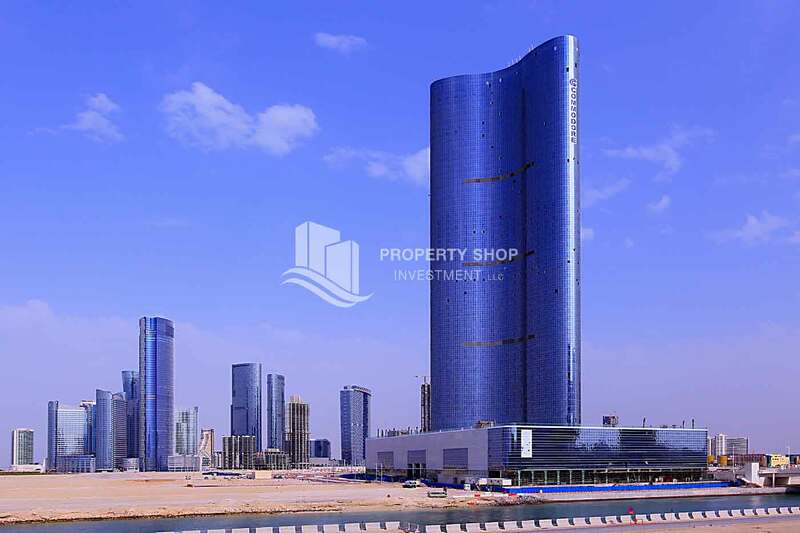 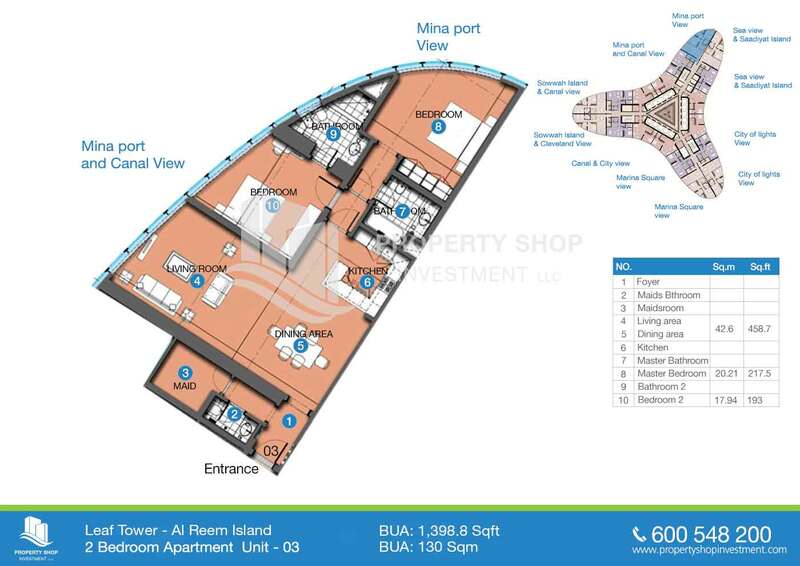 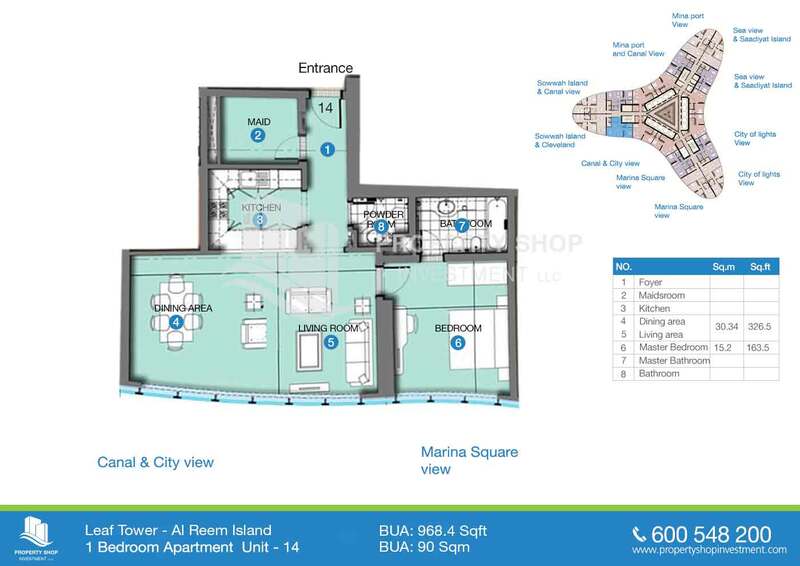 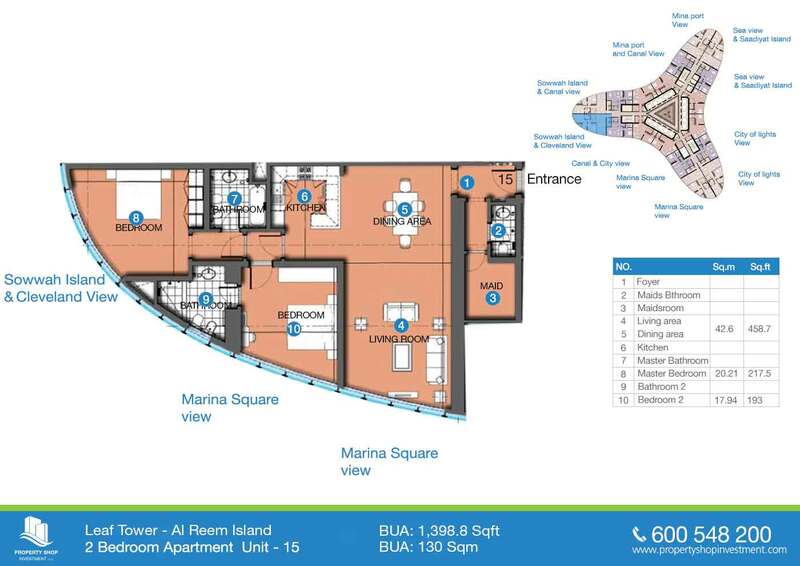 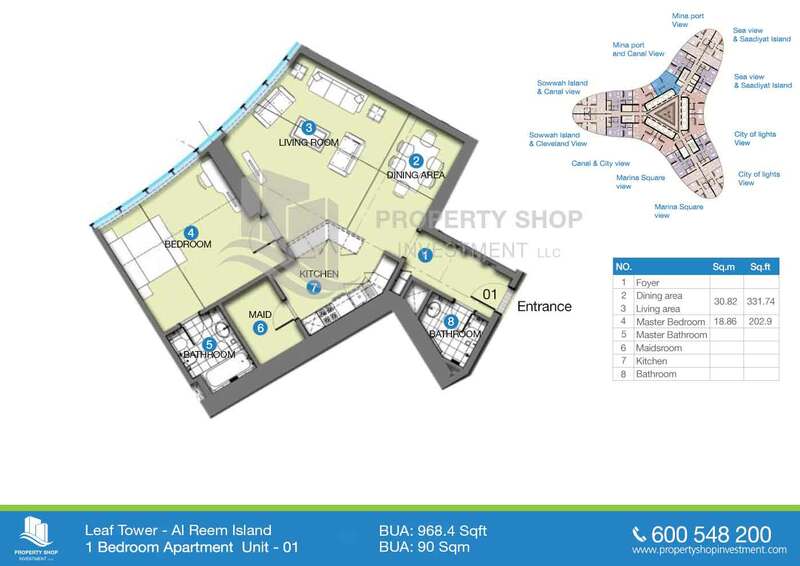 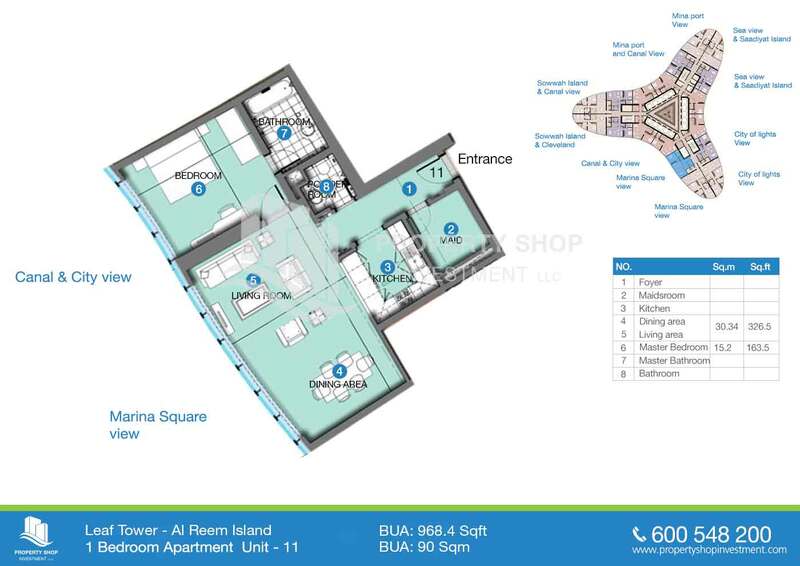 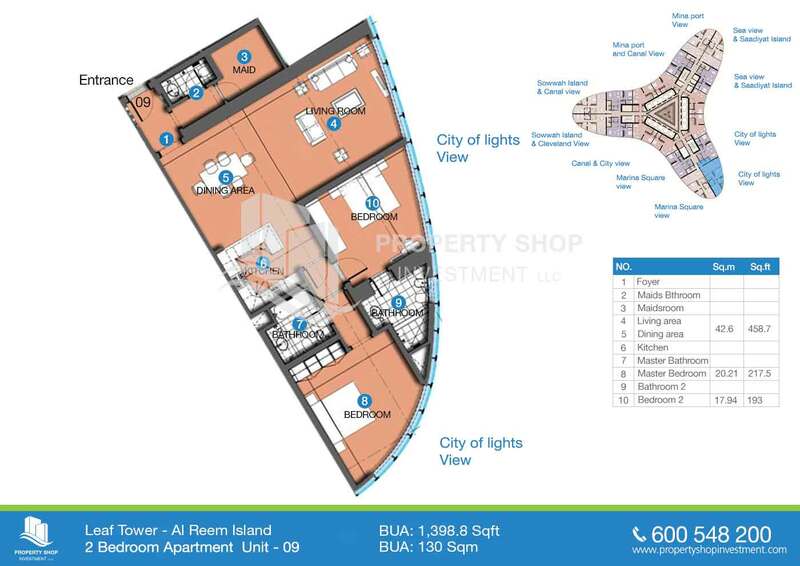 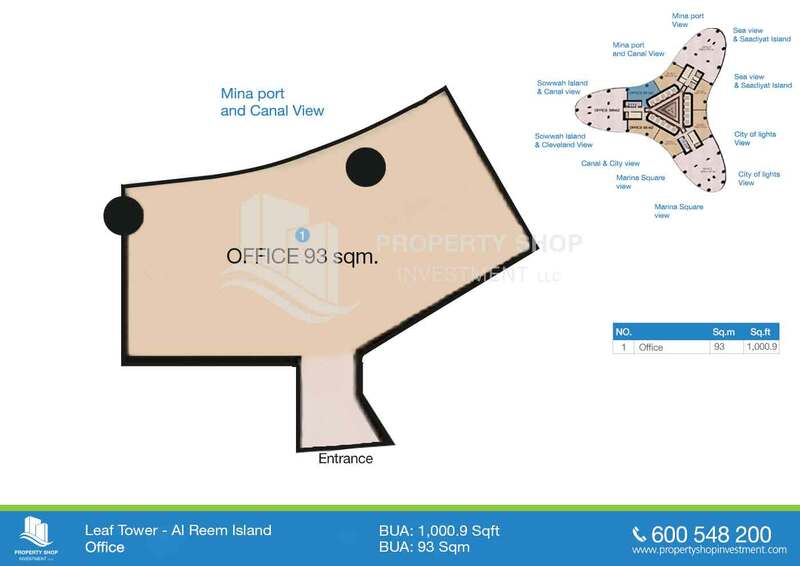 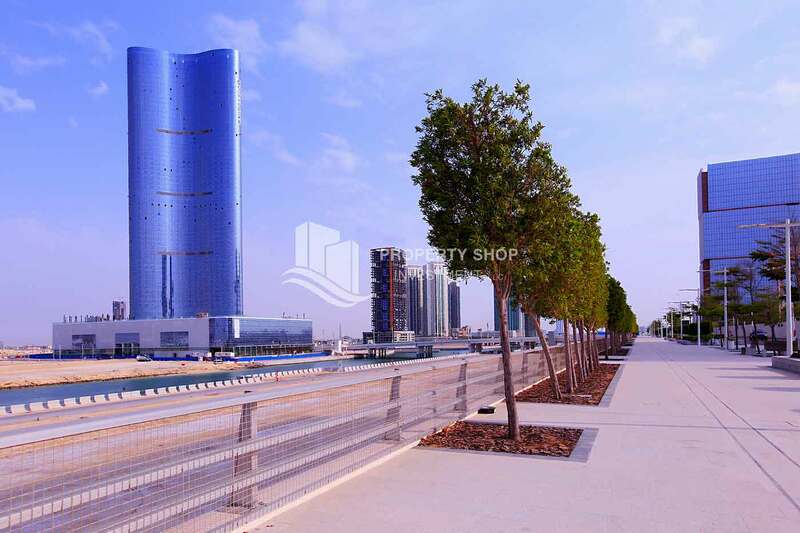 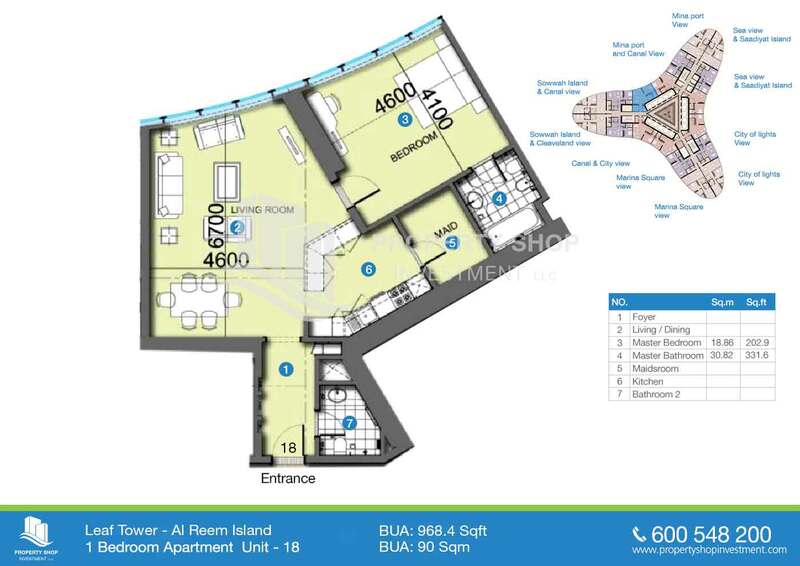 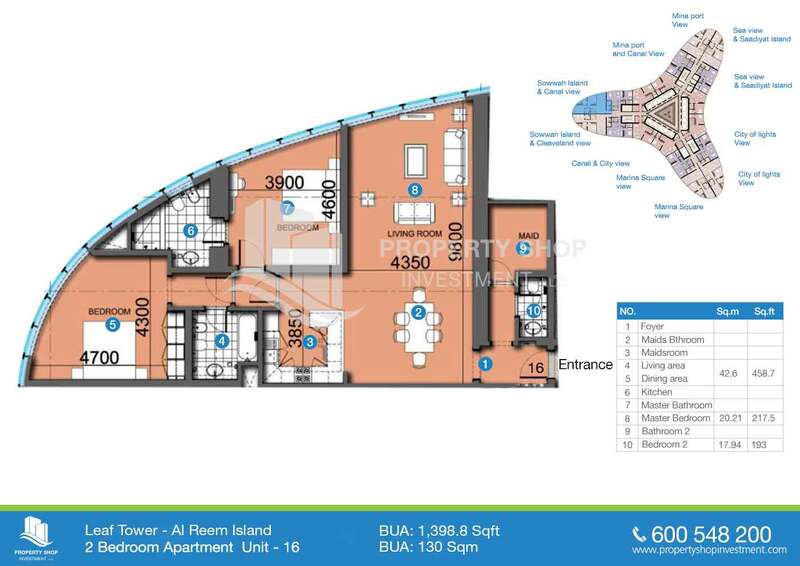 The Leaf Tower is located in Al Reem Island, Abu Dhabi, one of the most developed communities of the city. 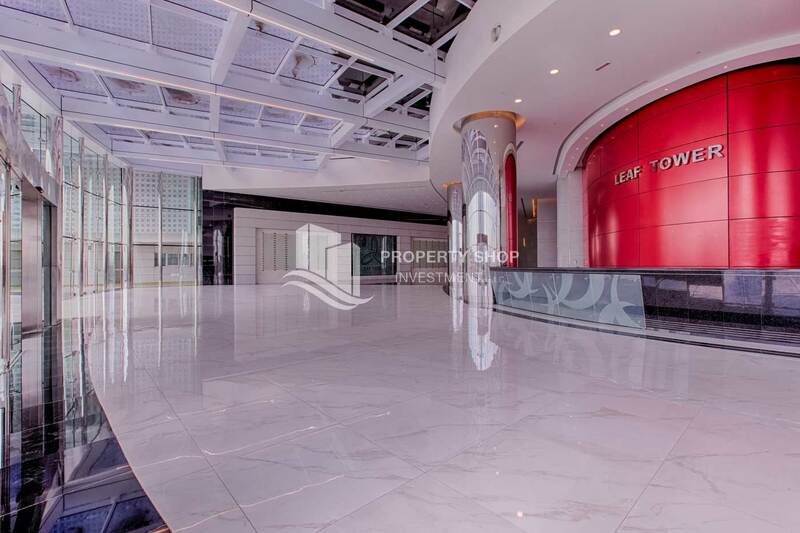 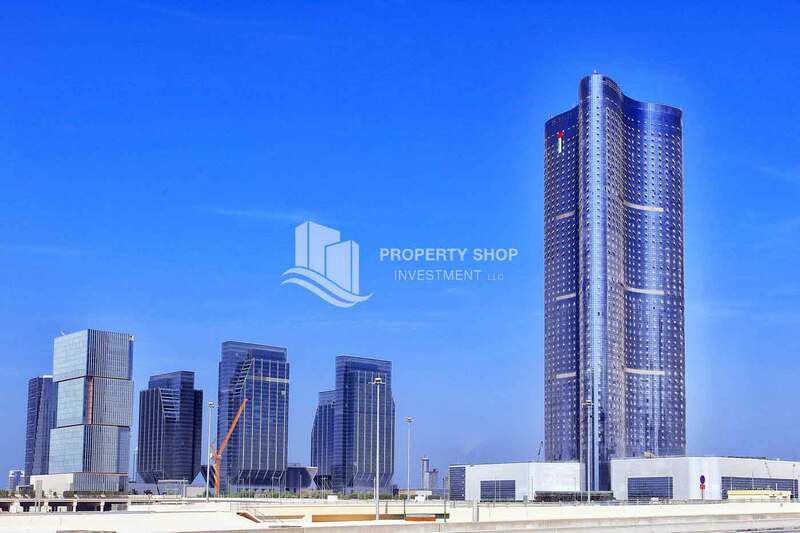 The residential building is a premium lifestyle destination offering world class facilities with stunning panoramic views of Abu Dhabi Skyline. 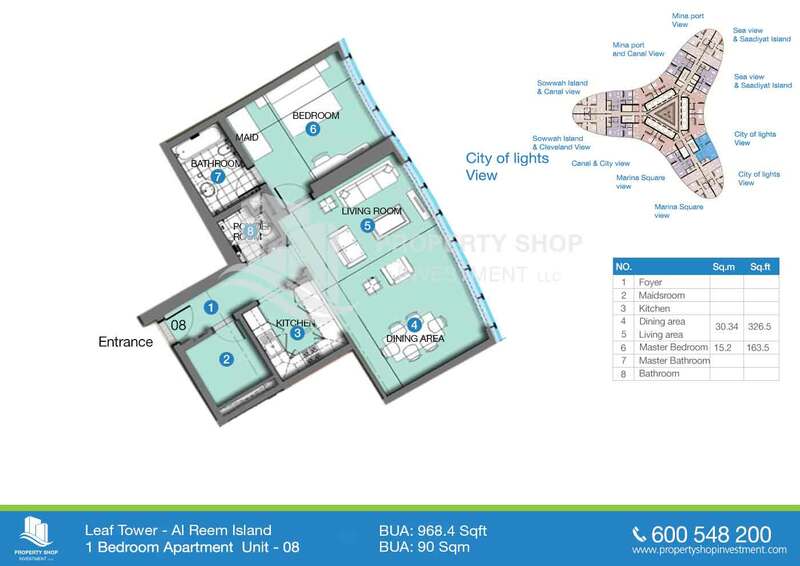 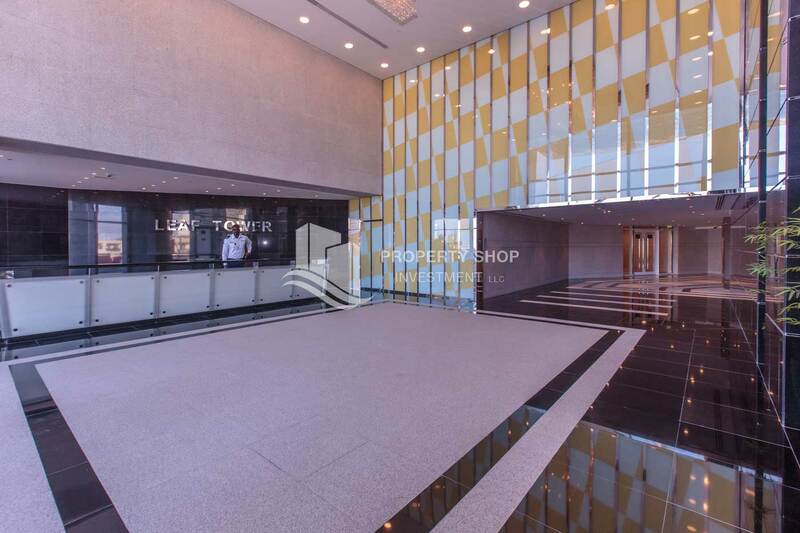 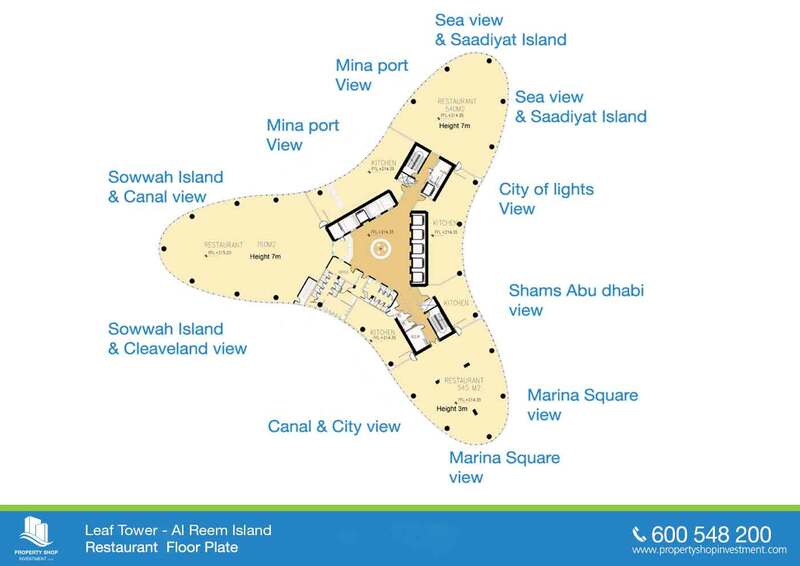 The brand new 56 floors tower features 396 spacious one and two bedroom apartments, over 45,000 Sq.m. 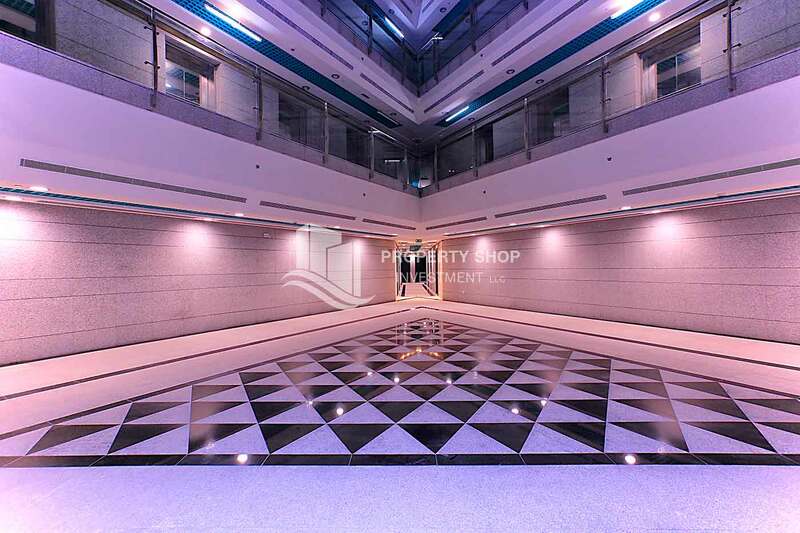 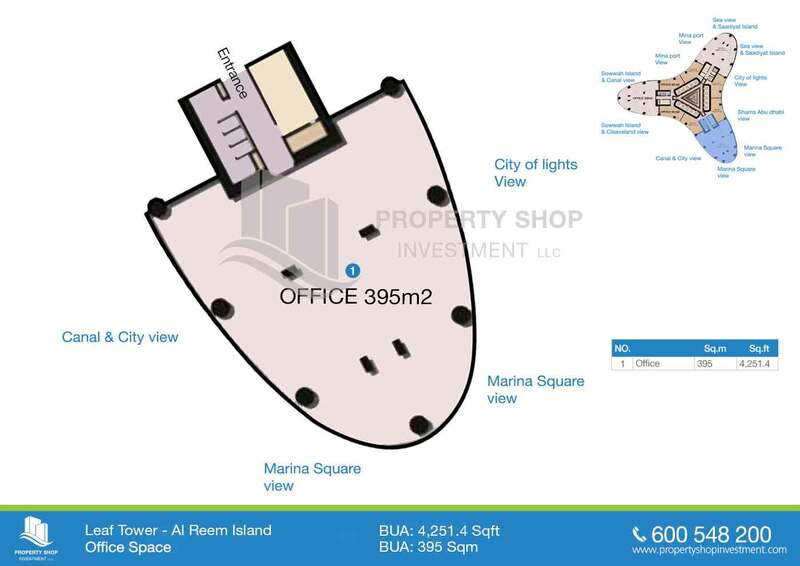 of office space and 8,000 Sq.m of retail/restaurant space. 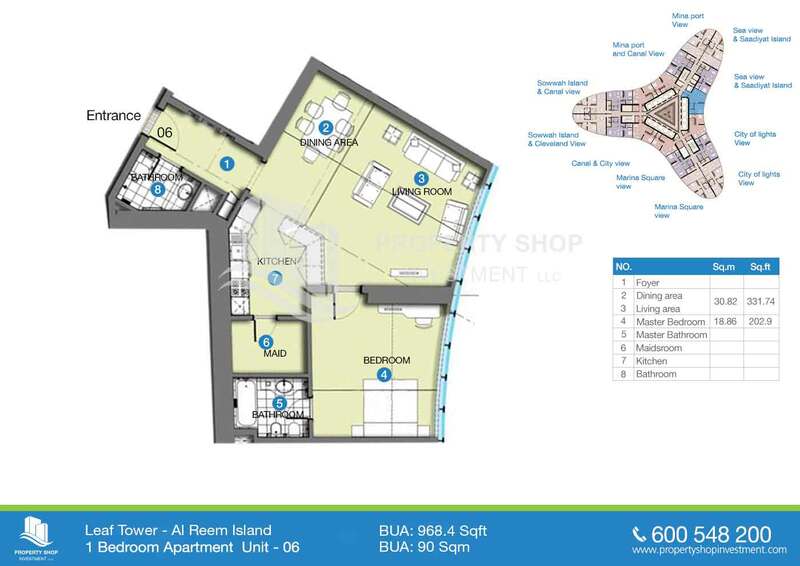 A unique aspect of the leaf tower construction is that, unlike most mixed-use towers, the residential units are located below the office blocks, from floors 8-30; and the offices floors from 32-56. 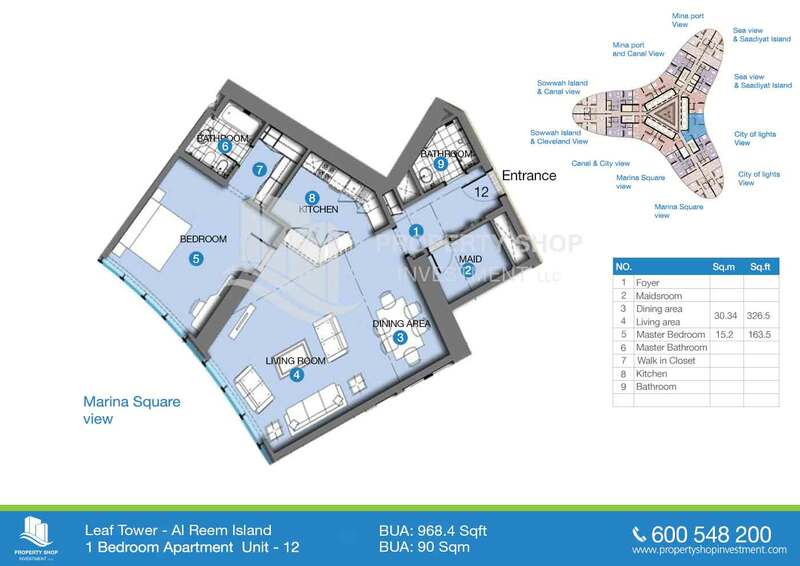 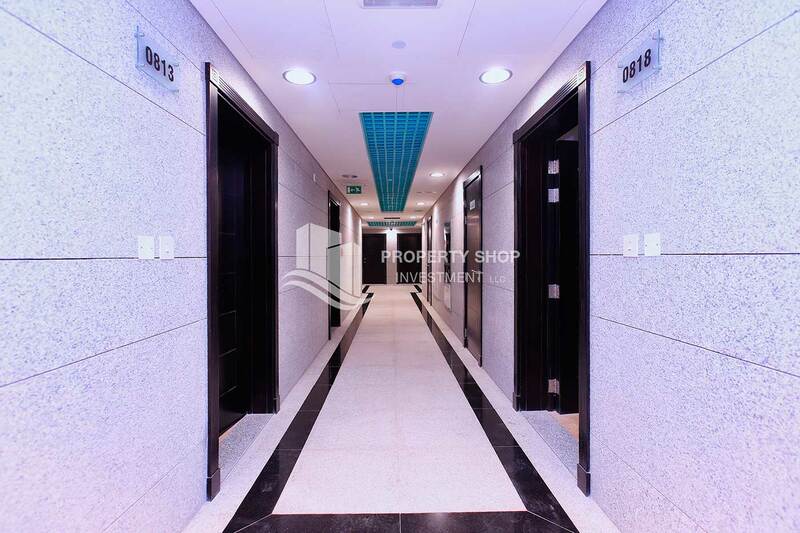 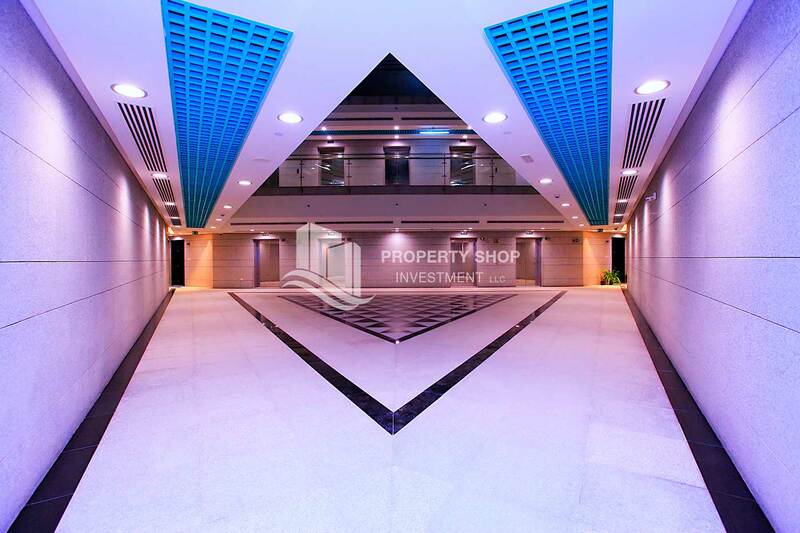 Each residential floor has six two-bedroom apartments and 12 one-bedroom apartments, while the office floors can accommodate up to 12 offices per floor. 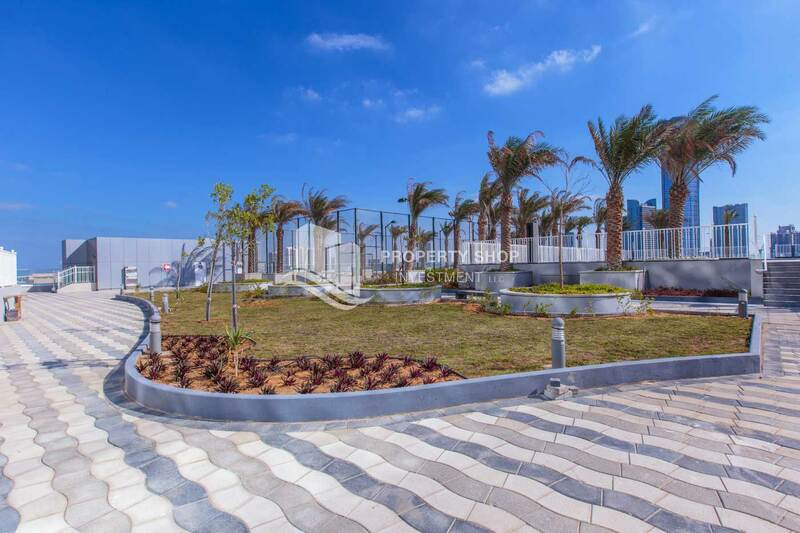 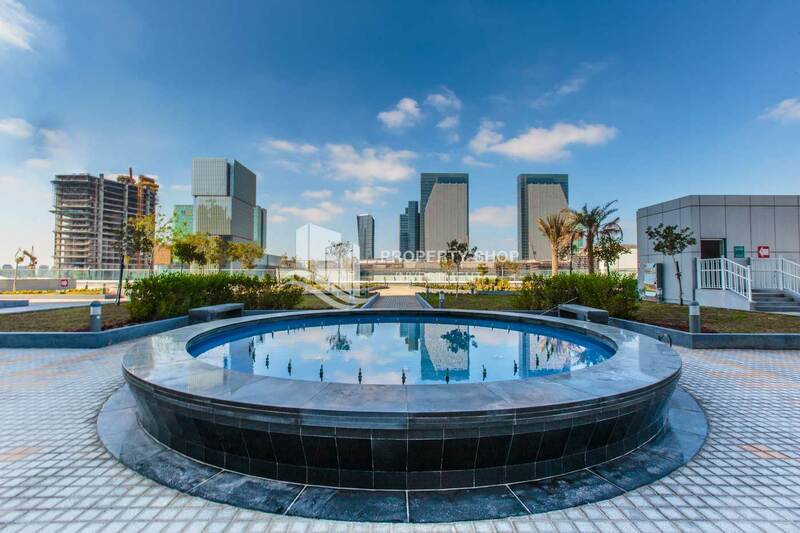 Residents will get to enjoy facilities such as a large swimming pool, children splash pool, gymnasium, tennis court, and children's playground, along with 13,000 Sq.m of podium gardens and a walking distance to the upcoming Al Maryah central mall, Cleveland clinic, and Abu Dhabi Global market square. 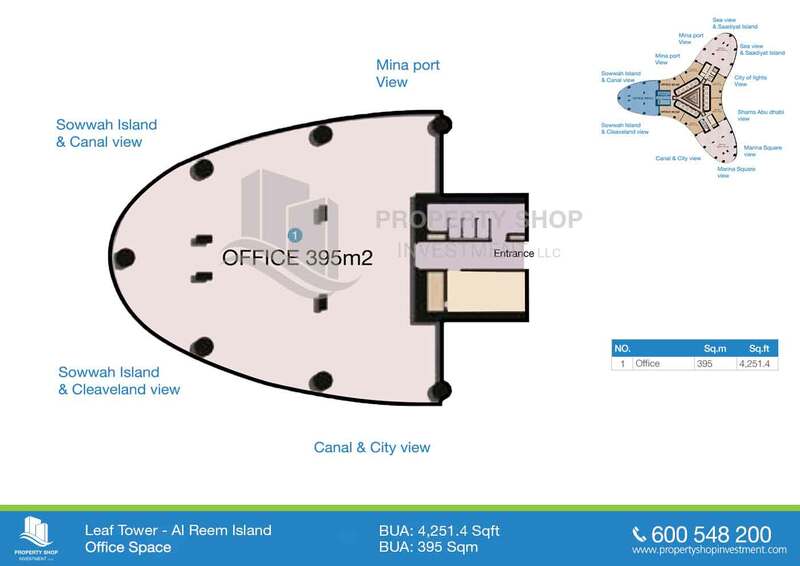 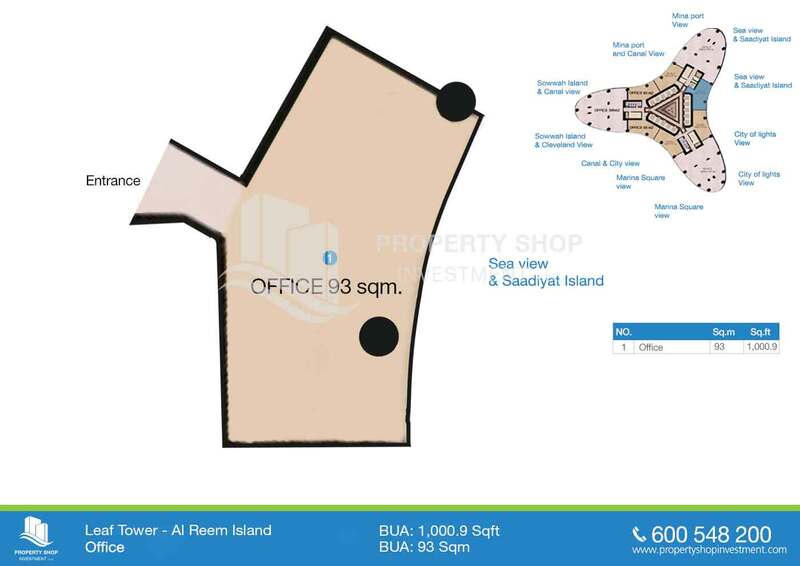 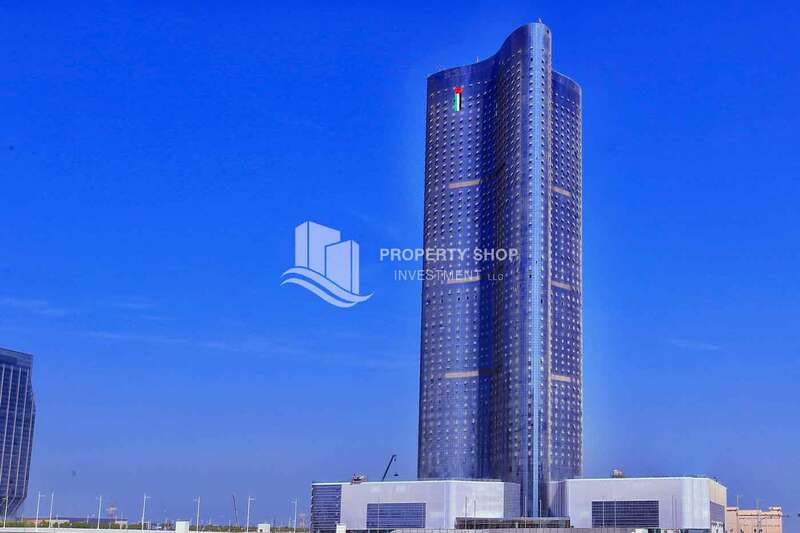 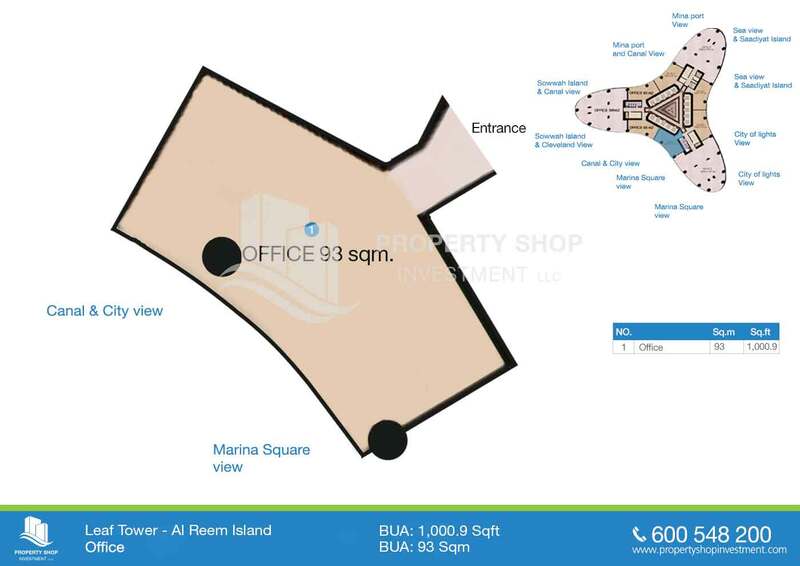 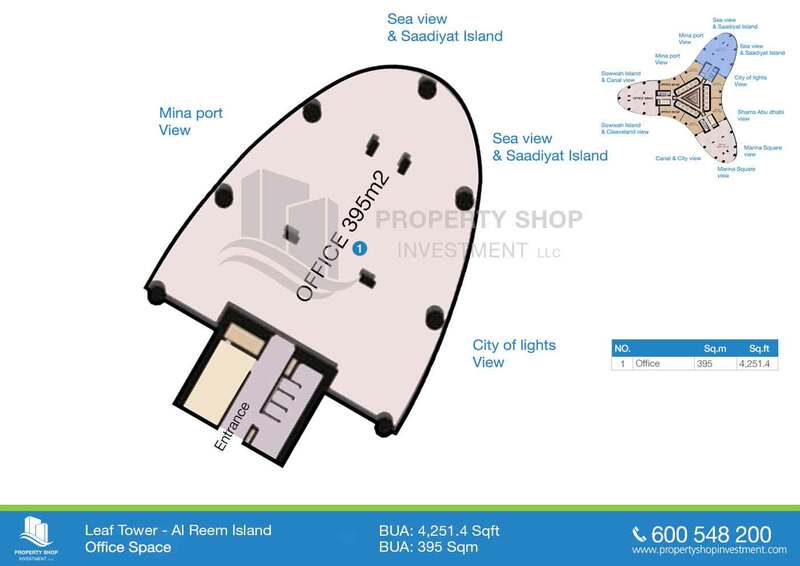 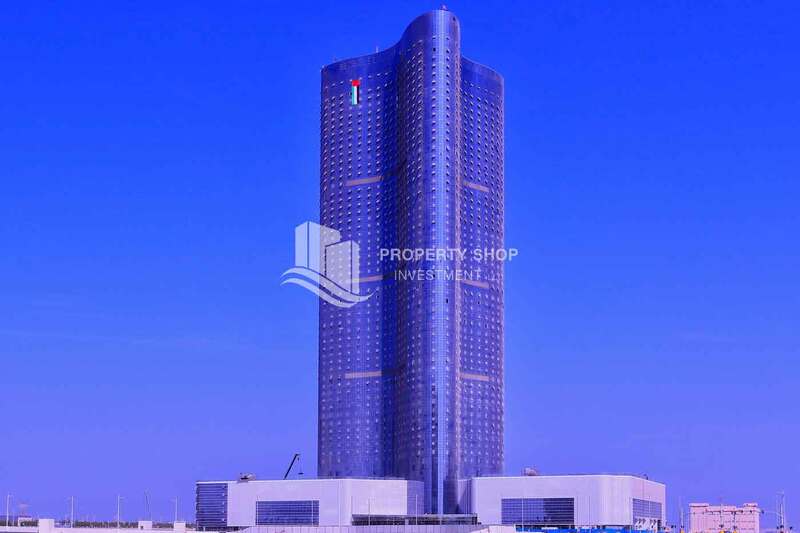 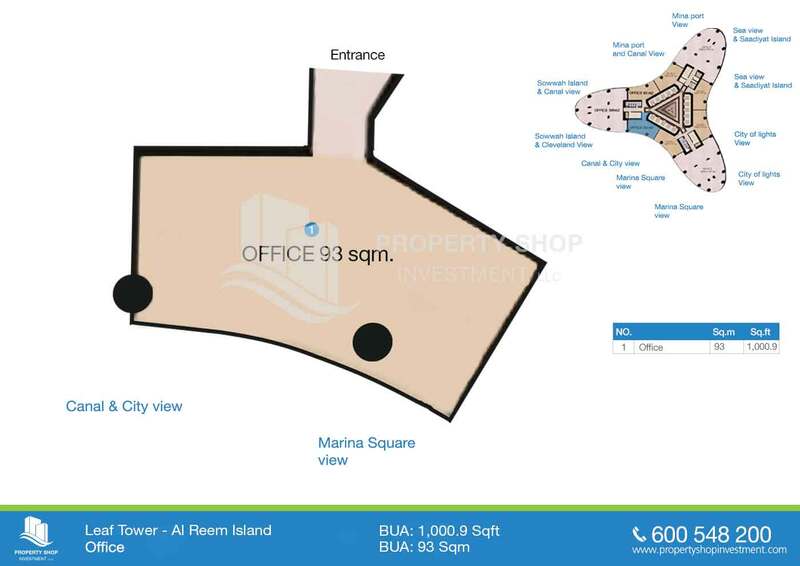 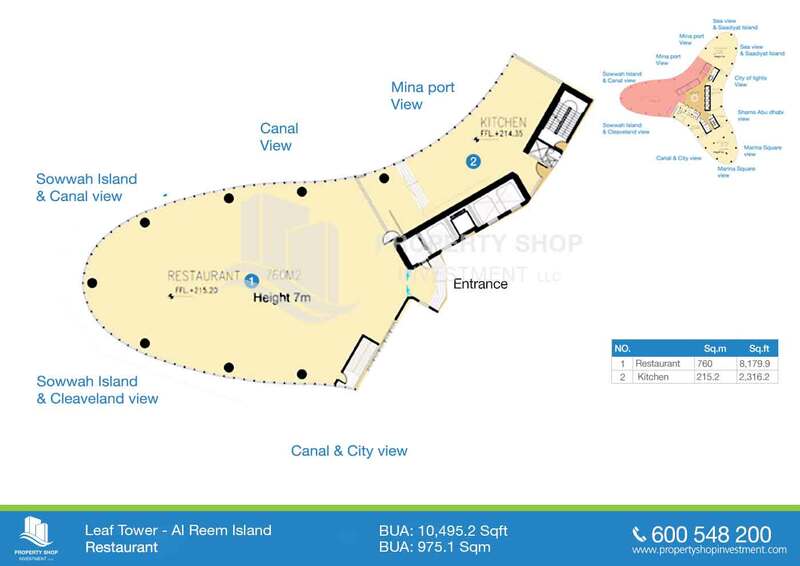 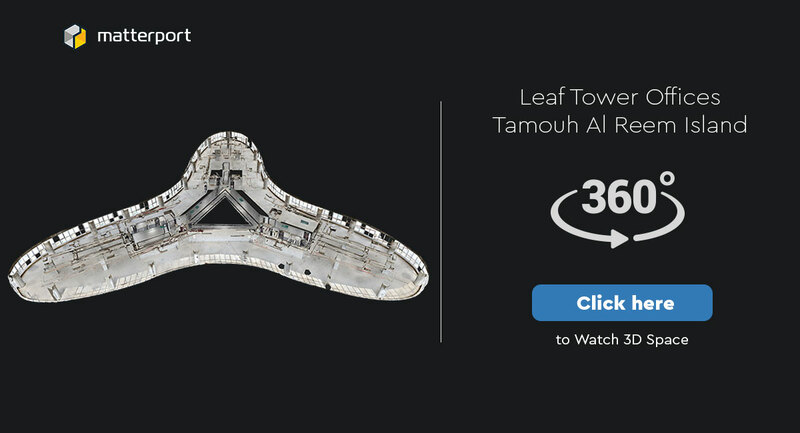 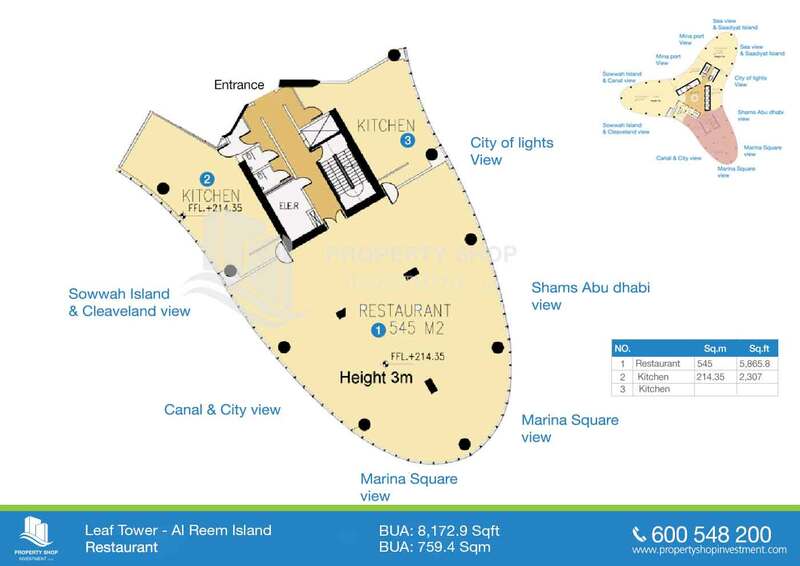 Leaf tower is meant to become one of the landmark towers of Al Reem Island. 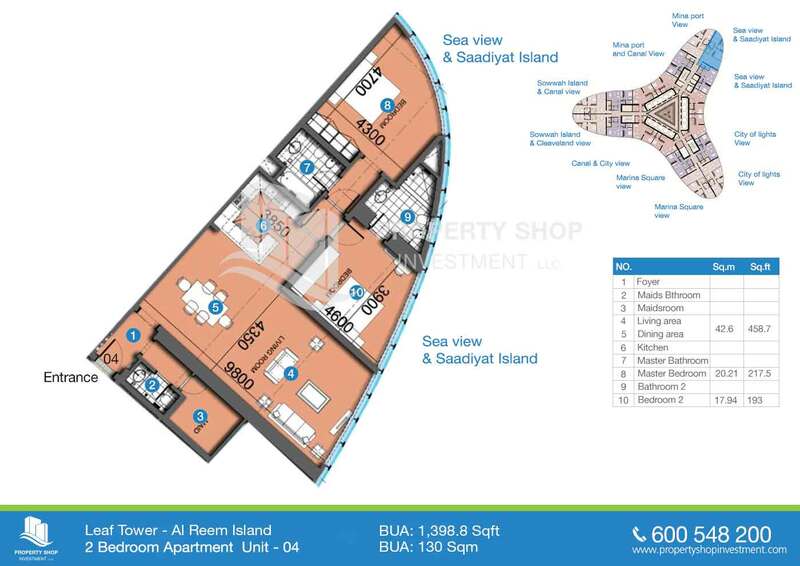 Developer 3AM Properties Investment Co.
Property Management MAAM Facilities Management L.L.C.